Medical nutrition requires a whole new view of food technology and validated healthcare. At this intersection is where Omni Innovation is researching and developing a range of products in a number of therpeutic areas. 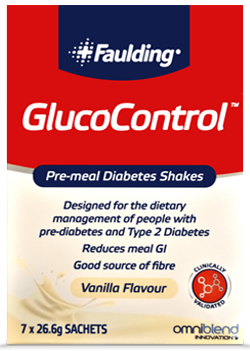 The pre-meal drink is available in Australia now under the brand Faulding® GlucoControl™. Find out what you need to know as a consumer or health care professional.